Do you know that one in every four users avoid using the mobile application after downloading it? 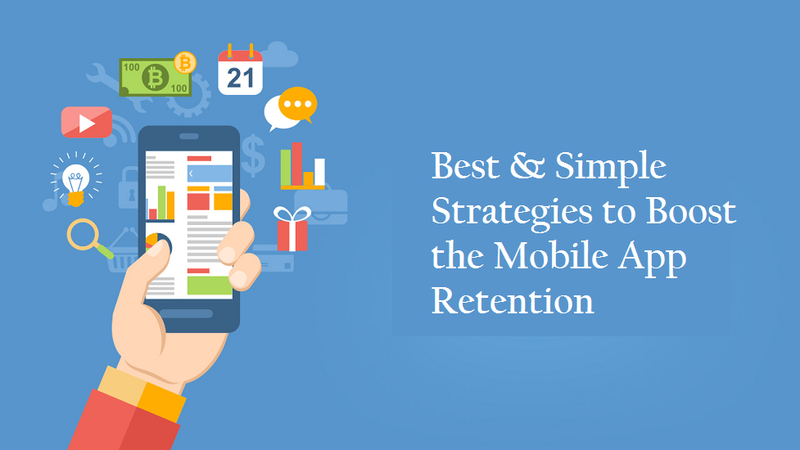 Therefore, in order to promote the border usage of your app more than once, you should attain some crucial user engagement or retention strategies. We all are aware of the fact that in customer development life-cycle there are two major pillars which bind the process successfully- one is customer acquisition and the second one is the ability to retain the existing users. User retention holds the important factor in your product’s success as it helps to identify you what aspect of your product is your customer engaged and what tends to leave the product. The major aspect which enforces your visitors to leave your app is its first look. Yes, this is where your product gains its first impression. Therefore, it is imperative to build your site unique, engaging, and eye-popping. For this, you can take proficient developers to help or you can hire one of the best and well-reputable mobile app development companies in India. Apart from this, here is the list through which you can retain you can do to keep your customers coming back on your mobile app. Take a look! “First Impression is the Last Impression”. The same thing happens with your mobile app. When someone opens your app for the very first time, make sure to greet them with a well-designed onboarding process. If you welcoming your visitor with the appealing onboarding process, it will explain the app’s value and how they can take the maximum benefit from it. This type of brand gives their customers valid and compelling reasons to keep coming back and increase the likelihood. Personalizing user engagement is assuredly an effective way to increase mobile app engagement. This personalization process starts with addressing the application users by their names and understanding their behavior patterns. Whatever actions they will perform, you can create unique experiences that enable long-term onboarding with your app. When customers start to leave your mobile app, a compelling push notification or email is one of the best ways to engage and convince them to give your app a second look. But these type of messages only available to your brand if customers agree to check push messages and join your email list. A proficient writer will help you out in this. You can even hire a full-fledged mobile app development company in India which offer certain services under your budget. A compelling or personalized message loses a lot of its power if the recipient gets it when they are distracted or busy doing something else. If you want to increase the customer outreach in your mobile app, use send-time optimization. When you are implementing numerous changes at once, it is hard to track what is working and what is not. Take a step-by-step process so you can able to identify what is beneficial for you and what causing drop-off. Today, the goal is not simply an app download but retaining users to build brand loyalty. Converting users to loyal, long-lasting customer will help to give value to your product and generate more revenue for your app. If you are also looking for one of the best mobile app development companies in India which build powerful, scalable, and user-friendly apps, then Antier Solutions is the answer.